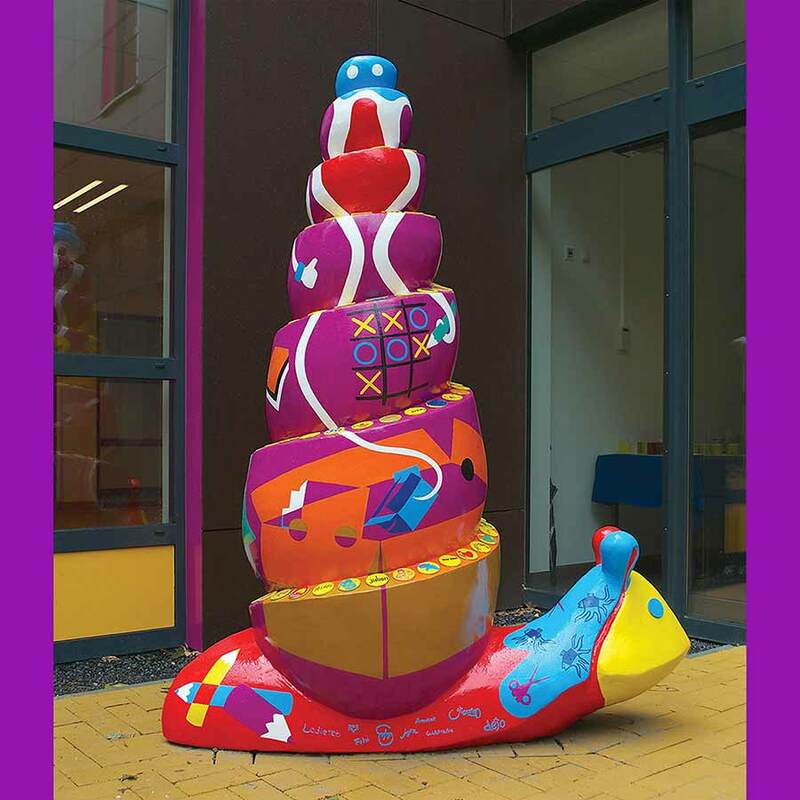 The Towersnail, a present from housing association Domesta to the users of “de Springplank” in Emmen, is made by the Toyists and the children of the Prins Johan Fryso Mytylschool. The snail carries its shell or house, which symbolises the move to the building. ‘Tower’ is a direct link to the floors of the building. 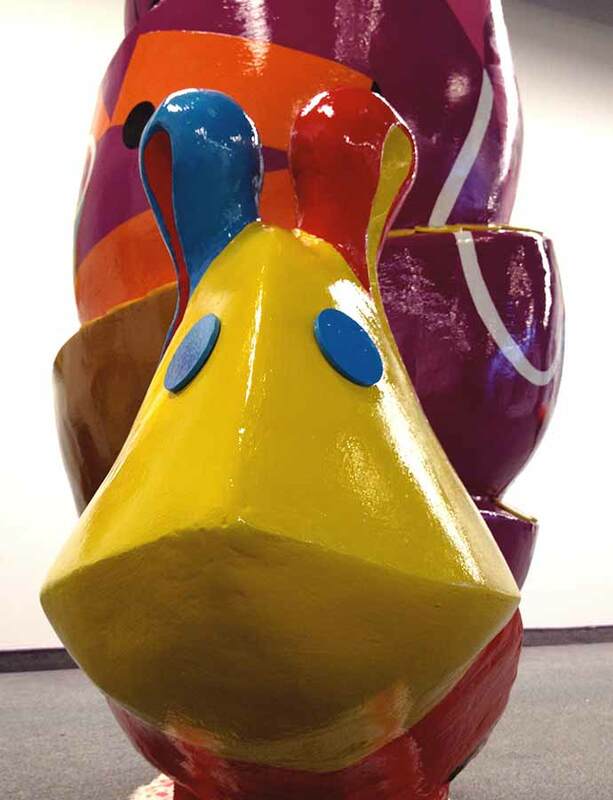 The Towersnail consists of friskily and colourful elements referring to playing and learning. 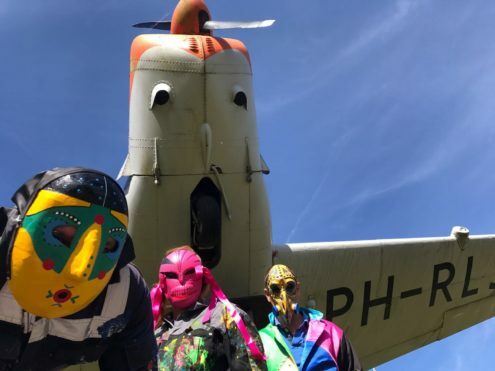 No less than 40 children have been painting 120 three dimensional dots that are placed at the edge of the tower and therefore form a colourful pattern. The move is lead by the big octopus sitting on top of the snail playing tic-tac- toe with her tentacles. We also see big trucks depicted by moving boxes. What can be found in those boxes? A real racetrack, crayons, small inky fishes and sweet licorice. The Facebook-thumb is up, everything goes as planned. And the Twitter-bird cheeps a colourful song.